Meeussen Bungalowpark Schuttersoord in Mook - the best offers! 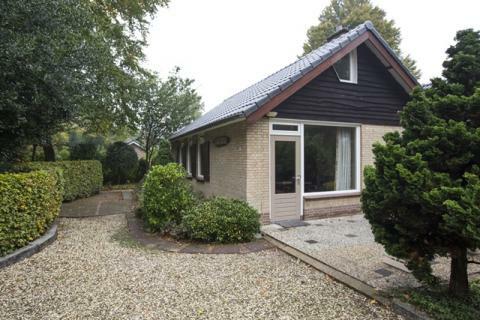 Meeussen Bungalowpark Schuttersoord is a small park beautifully located in the woods of Mook and Groesbeek. The park is ideal for peace and nature lovers. Meeussen Bungalowpark Schuttersoord is located near many marked hiking and cycling trails showcasing the most beautiful spots of the region. You can rent bicycles from the park. There is a playground for the little ones, and at the Mookerplas recreational lake you can relax on the wonderful sandy beach. The recreational lake is 5km from the park. There is a restaurant near Meeussen Bungalowpark Schuttersoord where you can enjoy lunch, dinner or an evening nightcap. The area offers plenty of opportunities for active recreation. Just 12km from Nijmegen, the oldest city in the Netherlands, the park is surrounded by rolling hills and the meandering river. A moment of tranquillity can certainly be found in the beautiful nature reserve of Mookerheide or the Maasduinen. For those who want to relax and unwind, there are many spas in the area. The park does not accept groups of young people. Pets are always on request, the park will take your request in consideration.